"Only You" - In the first hour of the special two-hour season finale, Regina reels from the death of Robin Hood, and everyone tries to give her room to grieve, but when the heroes discover Gold has stolen Hades' Olympian Crystal and tethered all of Storybrooke's magic to it, they set out to stop him. Henry decides he no longer can stand all the pain magic has caused his family, so he goes rogue, with Violet in tow, to destroy magic once and for all. Meanwhile, Zelena, Snow, David and Hook attempt to open a portal that will return Merida and the other Storybrooke guests to their homes, but things go awry, and the group winds up in a deranged new world. 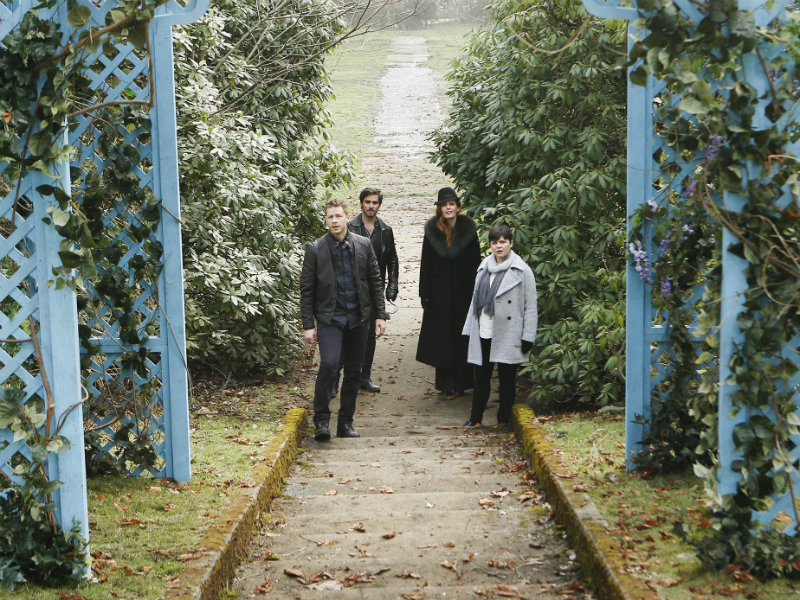 The season finale of "Once Upon a Time" airs SUNDAY, MAY 15 (7:00-9:00 p.m. EDT), on the ABC Television Network. "Once Upon a Time" stars Ginnifer Goodwin as Snow White/Mary Margaret, Jennifer Morrison as Emma Swan, Lana Parrilla as the Evil Queen/Regina, Josh Dallas as Prince Charming/David, Emilie de Ravin as Belle, Colin O'Donoghue as Hook, Jared S. Gilmore as Henry Mills, Sean Maguire as Robin Hood, Rebecca Mader as the Wicked Witch/Zelena and Robert Carlyle as Rumplestiltskin/Mr. Gold. Guest stars in "Only You" include Lee Arenberg as Leroy/Grumpy, Beverley Elliott as Granny, Amy Manson as Merida, David-Paul Grove as Doc, Gabe Khouth as Sneezy, Faustino Di Bauda as Sleepy, Michael Coleman as Happy, Mig Macario as Bashful, Raphael Alejandro as Roland, Michael P. Northey as Friar Tuck, Jason Burkart as Little John, Olivia Steele Falconer as Violet, Hank Harris as the Groundsman, Arnold Pinnock as the Orderly, Sam Witwer as the Warden, Candus Churchill as Librarian and Chris Olson as Toll Operator.